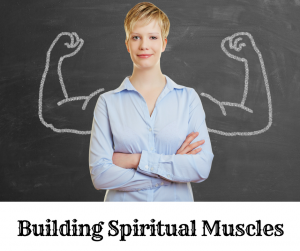 Are You Spiritually Fit? Any Self-Doubt? This Turner syndrome support blog post is about overcoming self-doubt, self-pity and disappointment. 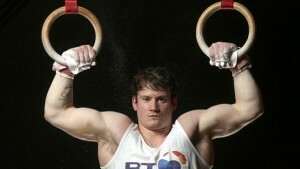 Kieran Behan was a boy who had a dream of being an Olympic gymnast. However, at ten years old he had a cancerous tumor removed from his thigh. The doctors told him that he would never walk again. After fifteen months in a wheelchair, he made his way back to the gym. Upon his return to the gym, he slipped from the high bar and sustained severe head trauma and frequent blackouts. After missing a year of school, he returned to school with a walking stick and received intense bullying, but nothing could keep Kieran from the gym. He re-trained his brain and got his coordination back only to endure several more fractures. The final blow was after practicing intensely, his knee snapped. He was about to give up on his dream but something rose up inside of him. He trained with more intensity and endurance. He rose to victory, becoming the Challenge World Cup Floor Champion in 2011 and qualified for the London 2012 Olympics. 1 Timothy 4:7 says to “exercise thyself unto godliness”. Exercise in is the Greek word “gumnadzo” which literally means “to train naked”. Please don’t think I’m being crude here, but Paul is trying to prove a significant point by using this word. The athletes of that day stripped off any hindrance, even clothing that would impede their progress. Just like Kieran, they trained with intensity and endurance. But what was Paul telling Timothy to train for? The Greek word for godliness is “eusebeia” which means “radical, fanatical devotion”. In essence, by using this term, “exercise thyself unto godliness”, Paul was telling Timothy to strip away anything that would hinder him or hold him back from radical, fanatical devotion to the call of God on his life. Paul’s encouragement was to use hardship to develop spiritual muscles just as you would use weights to build physical muscles. Just as Paul told Timothy to “exercise thyself unto godliness”, my encouragement to you is to remember that you are in training to become spiritually fit for the purpose for which you were created. Drop the hindrances of self-doubt, self-pity and disappointment about the way life has turned out. Don’t let those things hinder you from radical, fanatical devotion to God. Read your Bible daily, meditate on His Word and pray without ceasing. You are in training. Life is your spiritual gym. Hardships and trials are the spiritual weights that grow your spiritual muscles. You are stronger than you think and more capable than you’ve given yourself credit for! Just like Kieran, never give up on your dreams. Push past your perceived limitations. Exercise thyself unto godliness.